This exceptional Pink Stretch Hummer is fast becoming Perth’s number one head turner and the feedback from our happy clients young and old has been very positive. 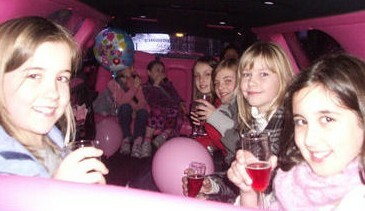 If you are planning a birthday party for one of the kids check out our Kids Limo Party package. We promise it will be a huge hit with our awesome Pink Hummer Limo taking the kids on an adventure of a lifetime to any Perth destination. 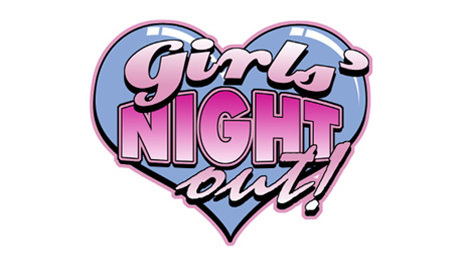 Our Hens Night Limo package is for those who want to see the bride off in absolute style. No one knows the Perth party venues better than our Chauffeurs and getting around Perth in the back of our luxurious Hummer is an experience none of the girls will forget in a hurry. Regardless of what special event you are celebrating Pink Hummer Perth can tailor make a limo package to suit both your budget and your requirements. Our 14 seat Hummer is purpose built for fun and excitement, all you have to do is call us. For bookings, prices and all enquiries contact Pink Hummer Perth on 1300 746 548 (1300 Pink Hummer). Perth, Balcatta, Iluka, Applecross, Merriwa, West Perth, Leeming, Balga, Kardinya, Floreat, Beldon, Sinagria, Coolbellup, Gnangara, Whitfords, Tuart Hill, East Perth, O’Connor, Carramar, Innaloo, Churchlands, Kinross, Leederville, Neerabup, Alexander Heights, North Beach, Heathridge, Kallaroo, Mindarie, Kingsway, Stirling, Joondalup, Padbury, Brentwood, Murdoch, Connolly, Mount Claremont, West Leederville, Tapping, Currambine, Wembley Downs, Duncraig, Rossmoyne, Waterman, Madeley, Karrinyup, Doubleview, Ocean Reef, Hocking, Clarkson, Booragoon, Malaga, Darch, Burns Beach, Butler, Ballajura, Beaconsfield, Sorrento, Palmyra, Scarborough, Wanneroo, Attadale, Greenwood, Woodlands, Mount Hawthorn, Warwick, Joondana, Ashby, Noranda, Marangaroo, Carine, Westminster, Wangara, Nollamara, Trigg, Fremantle, Herdsman, Bicton, Willetton, Quinns Rocks, Osborne Park, Bull Creek, Kingsley, Gwelup, Marmion, Girrawheen, Landsdale, Coolbinia, Hamilton Hill, Melville, Bayswater, Glendalough, Pearsal, Bibra Lake, Hillarys, Banksia Grove, Koondoola, Inglewood, Ridgewood, Hamersley, Mullaloo, Wembley, Edgewater, Craigie, City Beach, Bateman, Dianella, Yokine, Mirrabooka, Mariginiup, Highgate, North Perth.